AEC 3D Rebar, is the same functionality as that of a structural engineer, a draftsman, a detailer and an estimating engineer working all together from concept to completion of Design, Detailing and Drawing while seamlessly integrating AutoCAD and STAAD Pro. Drawing objects are listed as tables so that the user can edit the levels..
AEC 3D Rebar is a simple and quick bar-scheduler designed to understand any kind of AutoCAD drawing, plan and capture data, do routine design, draw 3D on AutoCAD and do more for you. Complicated Bar Bending schedule is made simpler and accurate, leaving no scope to human error. Stop drawing and start modeling with the program to perform all your complicated reinforcement plans. AEC 3D Rebar precisely places your reinforcement bars with the global coordinates of your structure in place. Estimates your project quantities reducing unplanned wastages associating bar-lengths, shape, floor and elements with support conditions. Reduces common project delays with accurate rebar scheduler in place. Wastage reduction management could be planned wisely with the 3D Rebar by looking at different permutations and combinations, and redrawing the whole model again . Removes duplicity and miscounts of items from your project and maintains rhythm of L, B, D with cross reference . 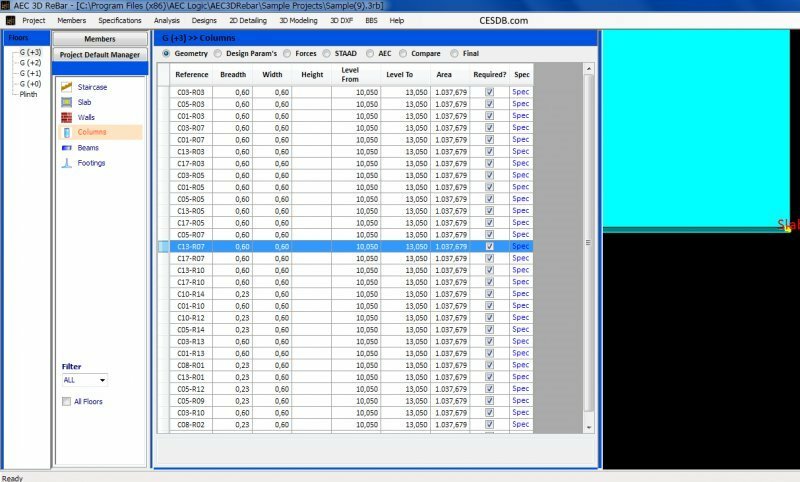 AEC 3D Rebar is a simple 3D bar bending scheduler that civil engineers have been waiting for years. Project Engineers already having made their work on AutoCAD platform, wherefrom AEC 3D Rebar takes you further. The 3D viewing on the web is made easy with Autodesk freeware products like Design review, Trueview and Freewheel tools. Online design review enables project teams to review, edit and regenerate drawings with desired changes. 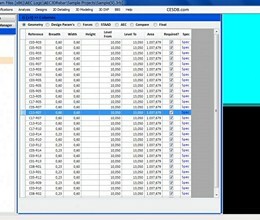 Project components layout is made simpler with output coordinate files to the surveying machines to position elements. Output files can be viewed in several formats like PDF, DWG, DWF and DXF. * AEC 3D ReBar download link provides trial version of the software. No one has rated AEC 3D ReBar yet. Be the first to rate this product.